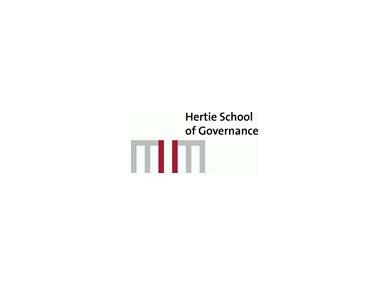 The Hertie School of Governance is an international teaching and research centre of excellence that prepares students for leadership positions in government, business, and civil society. An internationally-recruited faculty, interdisciplinary in outlook, research, and teaching, offers analytically-challenging and practice-oriented courses on governance, policy analysis, management, and leadership and helps students grow intellectually in a professional, research-intensive environment, characterised by public debate and engagement. Located in the centre of Berlin, the School’s support and placement services assist students in curricula planning, in finding scholarships and securing internships, and in identifying opportunities upon and after graduation.